a wire behind radio dash that supplies 12 volts or 6 volts when in reverse? I know I can get from fuse box but surely there is something behind radio dash. I cannot find any information that shows a PICTURE of the plug and which pin # are where. but doesn't say where the camera power cables are. Pin 11, 23 are Camera power, pin 12,24 are camera inputs. I check AVH-X5700BHS. 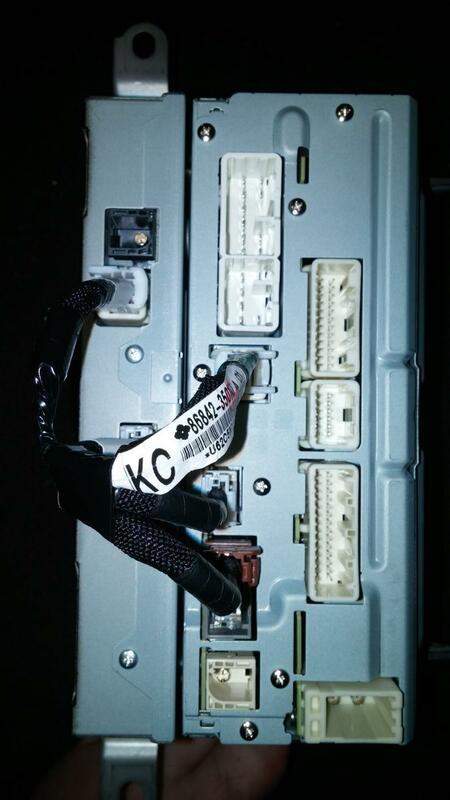 AVH-X5700BHSdoes not provide 5V output. You need to get 5V for camera from other places. Or replace the review camera with aftermarket (12V) camera. Mine is 2015 RAV4 LE. The back of radio looks different. I replaced it with an aftermarket one. The new unit came with all connectors. I saw the 2 camera power wires connected to a cambus which controls the buttons on steering wheel. So I think you can find these reverse power in steering wheel area. I believe I have figured it out. I used this guide from a 2014 Tundra. 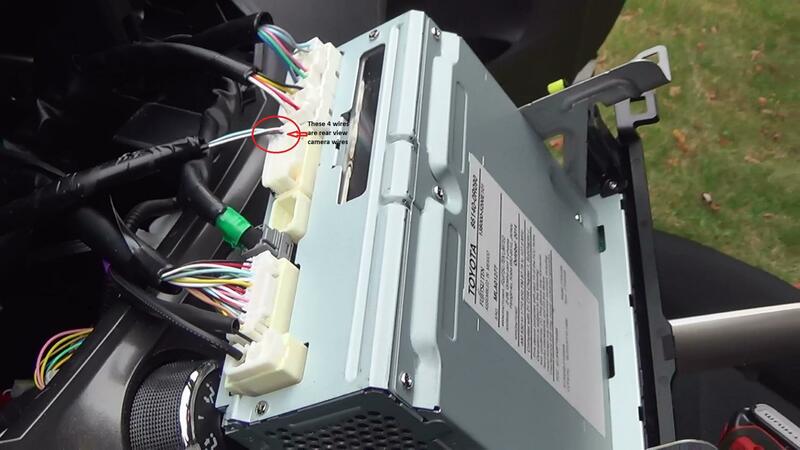 For the 2015 rav4 xle I was able to figure out which wires(pin locations) I needed to use. But the problem was all the wire colors are all different on the rav4 vs tundra. Which is very odd. My guess, now a guess only, Toyota uses 7 or 8 bundles of wiring harness all with the same types and pin allocations(with the same type of connectors ) for their tundra,camry, rav4 etc, but when they contract out the work to assemble the wiring harness they really don't give a rats rear what color wire they use for every pin allocation. Really no standard. I just made temporary connections to make sure everything worked before soldering the final. 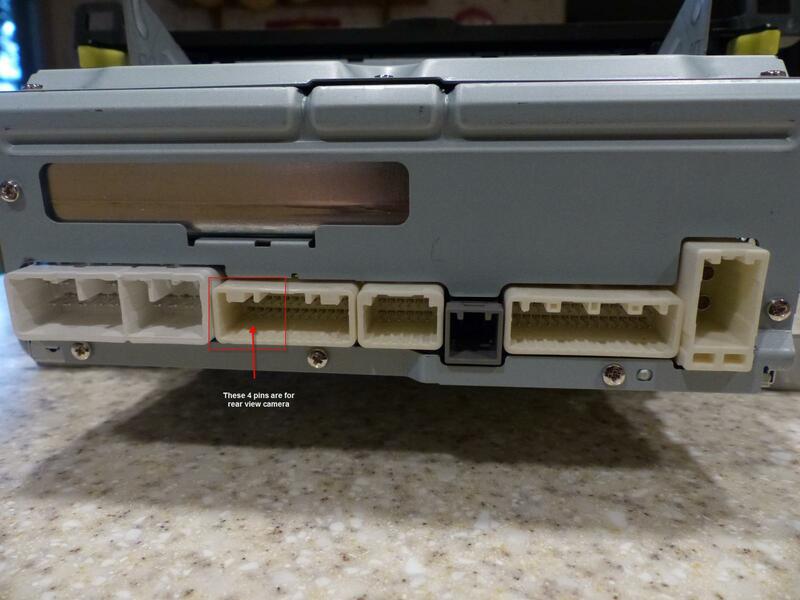 this is a guess, guess only--- 2013,2014,2015 rav4 the connector, you will see different color wires used for the speed sensor, reverse signal wire, and video power pos and negs wires. Last edited by bamarav4; 10-16-2015 at 07:30 AM. Don't leave a brother hangin. I can not recommend the PAC SWI-CP5 (steering wheel control module) if you are installing in a 2015 rav4. The concept of simple plug and play is great. Simply plug your android phone into the supplied usb connector of the module, pull up the app , customize which buttons on steering wheel do what function. But as of today, PAC's application still does not list the 2015. I had to select 2014 under the app menu, erase every preset options they had listed and go line by line testing what buttons on steering wheel actually controlled what functions on the pioneer. This took around a hour, for what should have been a 2min job. I emailed PAC and asked when they will be able to update the app to list 2015 , they had no eta, as soon as they get one in their shop. 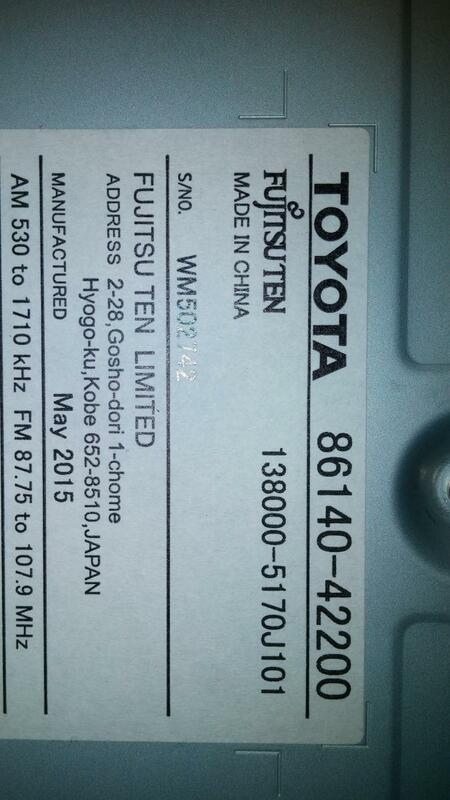 ( My guess is the resistors inside the steering wheel have changed from 2014 to 2015 rav4. for a couple of days I was using the speech function it sucked, until I figured out what I needed to change on my phone. I would press speech button , I would say call john doe and my phone(though the car speakers) was asking me "did you mean call bob?" the pioneer deck, I guess defaults to just use the first voice control app it finds on your android phone, and it picked the crappiest, oldest one. Last edited by bamarav4; 10-16-2015 at 06:14 PM.